A brutally violent cinema for those who like their films a bit extreme, S. Craig Zahler's sophomore effort is just as impressive as his gritty & gruesome debut feature, and establishes the up-n-coming filmmaker as one of the most promising talents to look out for. From the writer-director of Bone Tomahawk comes another relentlessly graphic & brutally violent example of raw craftsmanship that takes ample time to pave the required groundwork but once all the pieces on the board are set, the film takes things up a notch, leaving an endless trail of broken bones behind, and is brilliantly steered by a vicious performance from Vince Vaughn. Brawl in Cell Block 99 tells the story of a former boxer-turned-drug runner who ends up in prison following a deal gone wrong. A chain of events are set in motion when he learns that his pregnant wife has been kidnapped by his enemies who want him to instigate violent acts inside the prison in order to be transferred to a maximum security facility where he must kill one of the inmates in cell block 99. Written & directed by S. Craig Zahler, his sophomore effort is just as impressive as his first feature, for his latest is brought to life in the same no-holds-barred fashion. Taking its time to acquaint the viewers with the protagonist, the story establishes his situation & predicament before heading into a more dangerous territory. It’s a confident effort from the budding filmmaker, and he surely knows how to utilise violence & gore effectively. The plot packs a well-defined structure and it unfolds at a steady rate, never trying to get ahead of itself. Production design team does a fab job to recreate the prison environment that gets more n more gritty as plot progresses. Cinematography encapsulates the story with an overcast ambience and the cold colour palette only adds more bleakness to its images. Editing is expertly carried out yet it could’ve sped up a few sequences or trimmed some of the fat that made it into the final print. Coming to the acting department, Brawl in Cell Block 99 is Vince Vaughn’s show from beginning to end, and the actor commands the screen from its opening moments. Giving his character a silent, brooding & intimidating quality, Vaughn is able to maintain a calm demeanour even when bringing his bestial side out. It’s a fierce showcase no doubt that easily ranks amongst his best performances. Jennifer Carpenter contributes with fine supporting work too, while Don Johnson steals all his moments with effortless ease. 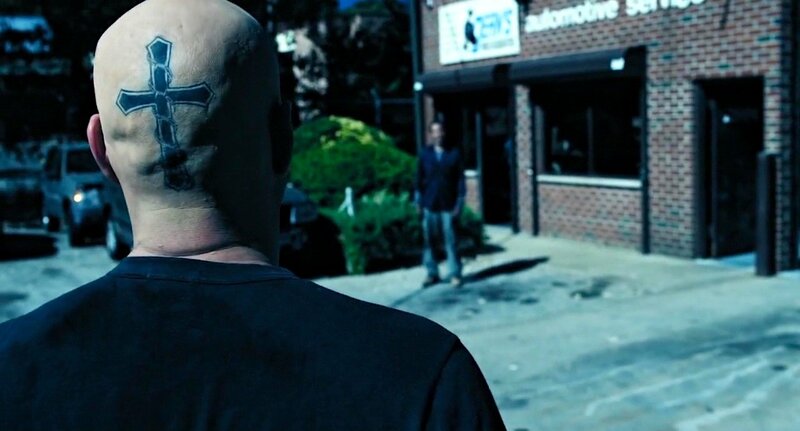 On an overall scale, Brawl in Cell Block 99 is another thrilling piece of first-rate storytelling from S. Craig Zahler that further establishes him as one of the most promising filmmakers to look out for. Ingeniously directed, deftly written, smartly photographed, patiently edited, finely paced & strongly performed, it is an unabashedly cruel crime drama that’s unapologetic about how far it goes with its darker elements. 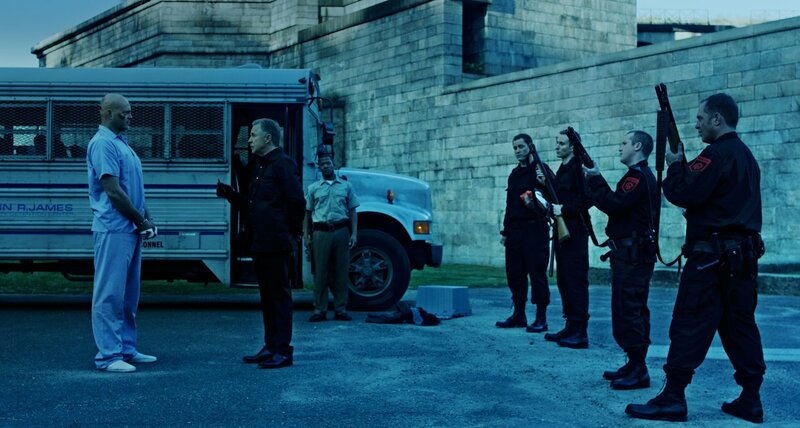 A bone-crunching & skull-crushing delight for those who like their films a bit extreme, Brawl in Cell Block 99 is impressive enough to rank amongst the finest films of the year so far, and is absolutely worth your time & money. Thoroughly recommended.